"This is a real wake-up call from one of America's finest public minds." "Mr. Howard's argument is fresh, reflecting an impressive combination of wisdom, wry humor, and quiet passion ... When we think about 'reinventing government,' it's a good place to start." Howard is on to something ... [He] makes his case through anecdotes, and he packs some powerful ones. Philip K. Howard is a well-known leader of government and legal reform in America. His latest book, The Rule of Nobody (W. W. Norton & Company, April 2014), was nominated for the Hayek Book Prize and was praised by Fareed Zakaria as “an utterly compelling and persuasive book that, if followed, could change the way America works.” His 2010 Ted Talk has been viewed by over 600,000 people. 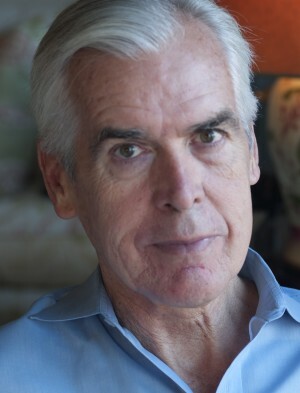 Philip is also the author of the best-seller The Death of Common Sense (Random House, 1995), The Collapse of the Common Good (Ballantine Books, 2002), and Life Without Lawyers (W. W. Norton & Company, 2009). He writes periodically for the Wall Street Journal, the Washington Post, and other publications. He was a member of President Trump’s CEO council, advising on infrastructure, and regularly testifies before Congress. In 2002, Philip formed Common Good, a nonpartisan national coalition dedicated to restoring common sense to America. His 2015 report “Two Years, Not Ten Years” delineated the economic and environmental costs of delayed infrastructure approvals, and has been endorsed by leaders of both major political parties. The son of a minister, Philip got his start working summers at the Oak Ridge National Laboratory for Nobel laureate Eugene Wigner and has been active in public affairs his entire adult life. He is a prominent civic leader in New York City and has advised national political leaders on legal and regulatory reform for fifteen years, including Vice President Al Gore and numerous governors. He is Senior Counsel at the law firm Covington & Burling, LLP. He is a graduate of Yale College and the University of Virginia Law School, and lives in Manhattan with his wife Alexandra. They have four children. Read more on Common Good’s website here.